When was the last time you bought something without reading its reviews on the internet? Does your 3-year-old know a great deal more about dinosaurs than you do in your mid-30s? Thanks to the internet and social media, learning and knowledge sharing is way easier in this millennium than it ever was before. Just like ‘Giuseppe Baldini’ in the movie ‘Perfume’ says: “Talent is next to nothing, while experience acquired in humility and hard work, means everything”. An expert’s knowledge lies in his personal experiences. User-generated content is the best way to tap into the personal experiences of the employees and make it available to the entire team. 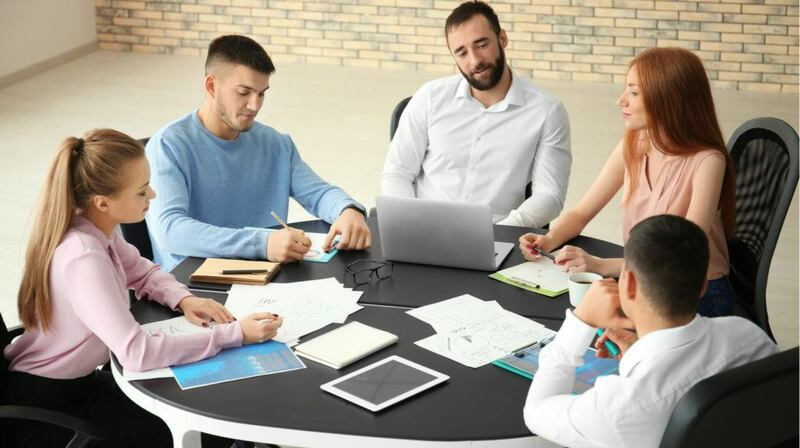 Training teams can make use of these experiences, by encouraging users to share their thoughts as a microlearning module, or even as a case study. By asking team members to share their tips, tricks, and workarounds, you are making a catalog of real-life scenarios and are not only making employees familiarize with these situations, but also preparing them to circum-navigate real-life challenges. Corporate training, at best, considers worst-case scenarios and must do’s, or rather, must-not do’s. A learning department cannot take into account every single detail of an employee’s work life and train them on it. Content generated by employees helps fill up these gaps left by corporate training. For example. corporate modules can only talk about safety procedures in general. They cannot specifically train employees on where the fire exits are at a site, how the fire extinguishers are kept, how a particular model of fire alarm can be used etc. Encourage the team members to come up with real-life solutions that you might have missed in the training sessions. I'm sure you would be amazed by your team members' knowledge. The set process might not be the most optimal process sometimes. The reasons for this can be varying. By monitoring and auditing user-generated content, the company can understand if a process is outdated or more complicated than it really needs to be. For example, if an employee creates a workaround that is an instant hit amongst the team members, then it is evident that the approved process is not optimal and should be updated. Hence, user-generated content can work as a feedback loop that can provide input to SOPs and instructions. Ask your team members to find gaps and issues related to the process or certain tasks. Challenge the team to find workarounds. You not only get solutions, but you also get a chance to appreciate the team for helping out finding a solution. If you ask me who is the wisest in an office, and I would say ‘the coffee machine’, because, no one hears more intimate, real stories than the coffee machine. Not only that, the coffee machine gets information way faster than everyone else, including the manager, or the HR. This is the same with user-generated content as well. For instance, a policy change can have a huge impact on business. But, the very first people to learn about these impacts would be the employees. By giving them a feedback loop, executives can learn the impact of changes real fast and react accordingly. Create an environment, where team members can come up with short lessons on the impact on the team about a new process or policy change. This not only gets you quality feedback, but it also helps you improve the trust factor. To be heard is the biggest reward a person can get. User-generated content gives employees just that. A company can reward employees on their contribution to the process, revenue and the company based on the impact of their self-generated content. This could act as an indirect, 360-degree feedback loop on their performance and knowledge. This way, the employee feels empowered and their rating will be more transparent. That being said, user-generated content can also be misused to spread misinformation. It is the learning technologists’ responsibility to monitor the content, filter the information, streamline learning and highlight the relevant and useful information. Also, by design, user-generated content tends to be disordered and random. The learning managers should regularly audit the information available and update the corporate courses accordingly.